Here is the title track from Colt Ford’s latest hit album. 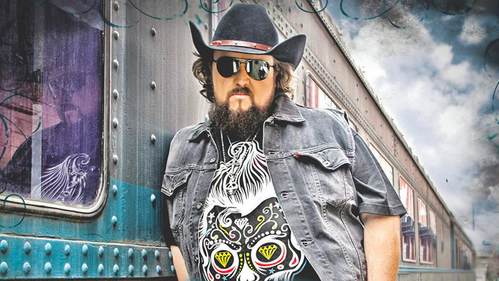 If there is a guy that is underappreciated in country music more than anybody right now it’s Colt Ford. The man would love to have a radio hit and he’s worked hard for about a decade, but radio just won’t listen. His fans have been doing plenty of listening, though, and it looks like Colt’s new album will be another smash hit. He recognizes that his fanbase continues to grow and he’s appreciative that people buy his music and attend his shows. Here is the title track from that new album where Colt takes a moment to thank his fans. This is another catchy song from Colt. He makes his kind of country music and fans are loving it. And I think he keeps getting better and better with each song. This one is fun and appreciative. The rhymes are good and you know that Colt fans are going to love this one. We’ve talked about the Colt Ford story before. The guy created his own label. Radio wouldn’t touch him so he’s had to find different ways to reach his fans. he’s embraced new technology like online streaming channels and he’s put in big time out on the road. The work has paid off and you can’t say that Colt Ford isn’t one of the biggest names in country music even if he’s not big on radio. Great song from a great country artist.